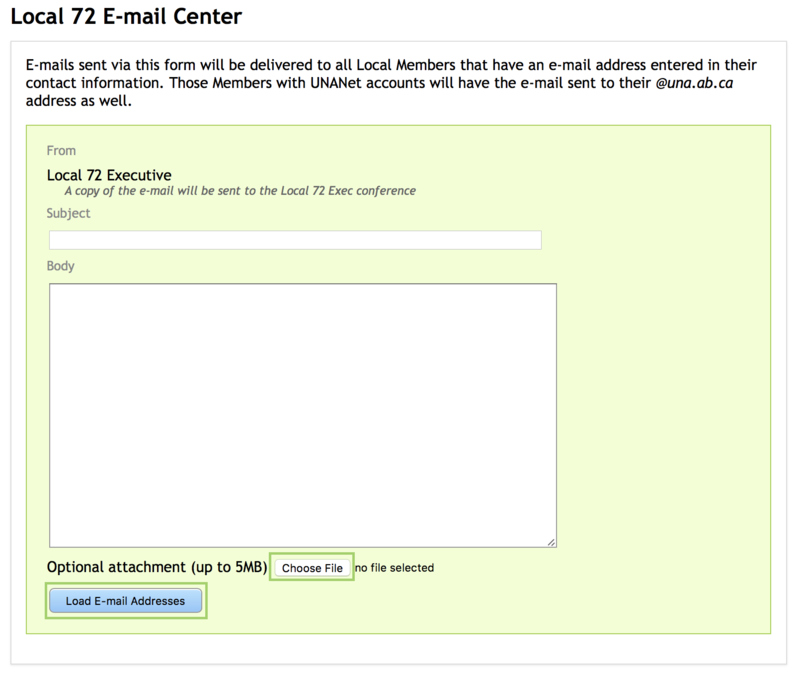 This feature allows you to send one email message to all members with an email address recorded. However, in many cases the email address is personal. Please consider the sensitivity of content before sending. Only the UNANet service should be considered secure. Accounts such as HotMail.com or Yahoo.com are often accessed by others. There is a E-Mail Centre button on the Members & Employees page. The Message interface will open. Complete the message using the Subject and Body fields. Review and correct any errors. If an attachment is desired, click on Choose File to locate and attach the file. Note the restriction to 5MB in size and the limit of one attachment per message. Click on Load E-mail Addresses. The next screen will indicate how many members will receive the emails. Click on Schedule for Send. Reset E-mail Data will clear the loaded e-mail addresses and whatever they’ve entered into the Subject and Body fields, and reload the page to start “fresh“. A confirmation screen will appear, click on Schedule to send the email. Once you click on Schedule, a message will appear indicating the message sent successfully. There is no way to Unsend. 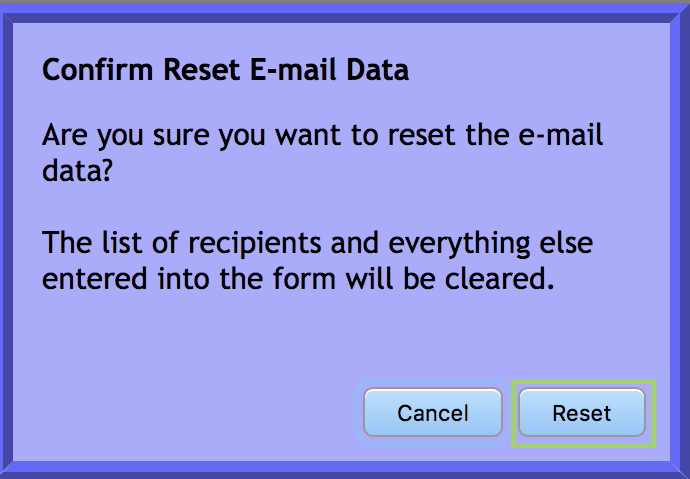 There is also a confirmation screen if Reset E-mail Data is clicked. Click on Reset to be able to start fresh and remove all loaded e-mail addresses.